Whenever I go back and play Playstation 2 games I missed the first time around, I view them as little oddities; most of them don't play like the PC games I'm so accustomed to and those that do are still outdated in terms of mechanics and core design. It's a process I usually go through for "encyclopedic" reasons, so to speak. I get in, play a couple of hours to get a sense of what the game is about and then lose interest and switch to a different game. There are the games I already love (e.g. Metal Gear Solid 2 & 3) and will see through to the end, of course, but there are other exceptions as well. When I purchased the PS2 Classics version of Killzone on the Playstation 3, I knew I'd stick with it. Part of that was because I intended to go through the entire series for the first time and I needed context. Primarily, however, I've been trying to get into console shooters, seeing how the genre flourished on those platforms in the last fifteen years and there's a lot to see. The first thing I noticed when I started playing Killzone was that it is an ugly game. It was praised for its "high fidelity visuals" when it was released, but even with accounting for age, it's hard to ignore the game's dull presentation, its brown visuals and repetitive, forgettable level design. The other thing I noticed was how slow the game is; it starts with no story exposition, it just throws you in a battlefield and for several levels doesn't bother giving you any context for the story. The player character moves slowly and the performance of the game is questionable, with constant frame drops and stutters. I was really surprised; this was the game that Sony was going to hit Bungie's extremely successful Halo with? This slow, eurojank-looking, simplistic, unpolished shooter? I had heard of the buzz, even though I hadn't played any of the games. In all fairness, developer Guerilla Games never made the claim that Killzone would be the "Halo killer"; that was a statement made by the press primarily, who generated hype that Killzone failed to live up to. But Sony did have exclusive publishing rights for the game (sharing them with SEGA in Japan). The press be damned, wasn't this their chance to take away from Microsoft even the last segment of the audience the immensely successful Playstation 2 lacked? The PS2 had plenty of shooters and good ones, too: the Timesplitter series (including the excellent third installment, Future Perfect), Call of Duty, Medal of Honor and others. The problem was that as good as many of those were, none were PS2 exclusive titles. The platform had to share them with the XBOX and, usually, the Gamecube as well. Nintendo's system was more-or-less out of the competition from early on beyond their first-party titles, but the XBOX wasn't. It had one thing the PS2 didn't; a great first-person shooter to call its own. For a while, Killzone seemed to be shaping up to be that title. Not so much as the "Halo killer", but rather as the shooter that would cement the idea that first-person shooters have a bright future on the Playstation platform. The more I played of Killzone, the more baffled I became at what exactly the idea behind the game was. By the time the game ended, I had grown accustomed to it and even fond of the core gunplay, but several design choices left me scratching my head. This game was published in 2004, the same year that Metal Gear Solid 3: Snake Eater and Grand Theft Auto: San Andreas were released. The Playstation 2 peaked in that year and would start preparing for its graceful exit soon after. At the height of its popularity and three years after the competition (with Halo releasing in 2001), Killzone's extremely basic structure and design are confusing, to say the least. I played the PC version of Halo: Combat Evolved years ago and don't remember anything about it (sorry fanboys, Halo still doesn't hold a candle to Half-Life), but the stark contrast between Guerilla Games' title and its competition is clear even by looking at mere screenshots. Halo offered colors, with memorable character designs and vehicle play. Killzone offers brown visuals in ordinary buildings and muddy, empty jungles. Halo offered levels that alternated between complex corridors and open outdoor arenas. Killzone offers linear paths with minimum incentive for movement or flanking. 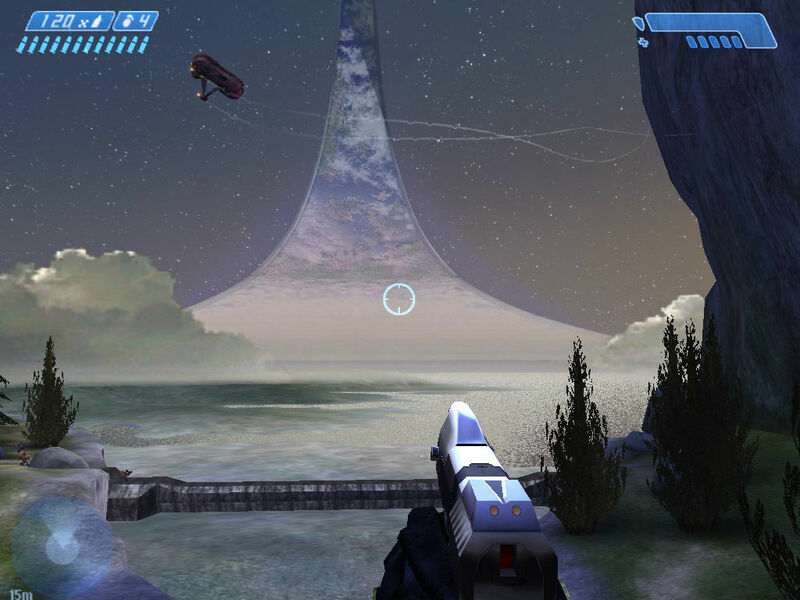 Halo offered a hero storyline in a world that felt alive, with its own lore and history. Killzone offers a spoof of Starship Troopers and similar movies, only unironically, with janky voice acting and terrible dialogue, without providing so much as a framework. Count the colors (Killzone, Playstation 2). Killzone isn't a bad game by any means; it works as it is supposed to and even has some interesting ideas. 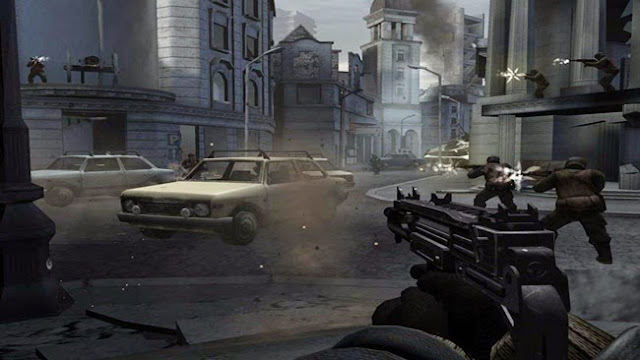 The replayability that the different player characters offer is a massive feature to the game's favor, as each character can utilize the map differently and allow for somewhat different approaches, both to combat and the objectives. In theory, at least; in practice, Luger's stealth is still broken and the lack of ammo for each character's starter weapons still force you to pick up the same two weapons from the enemies, eliminating a lot of the uniqueness of each character. Still, the idea of multiple characters is good, especially for a game at the time. As mentioned, Guerilla Games never intended for this comparison to happen. But we have to assume Sony did. The Playstation 2 may had won that console war, but the next generation of consoles was in development and would launch only two years later. 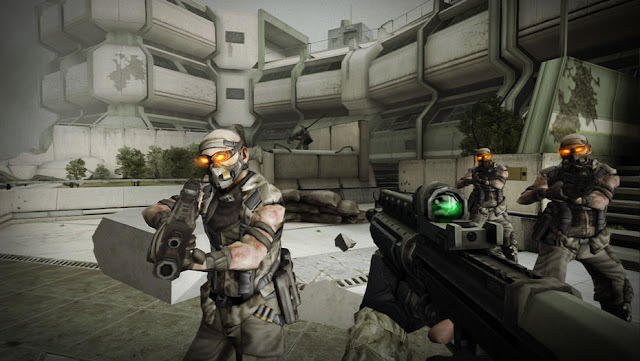 Sony actually bought Guerilla Games shortly after the release of Killzone, making them a first-party developer and announced Killzone 2 in E3 2005, two years before the Playstation 3 even launched. It should be noted that Killzone sold millions of copies over its run. It was a massively successful title in terms of profit, but it stumbled when it came to impressing the gaming audience at large. What Sony failed to understand at the time was that the millions of copies sold were only a short-term victory that would cost them in the future. The success of a Sony-exclusive first person shooter wasn't necessary for the Playstation 2; but it was extremely important for the Playstation 3. Resistance was a launch title for the system, failing to dethrone Halo and Ubisoft's Playstation 3 exclusive HAZE was a thing as well. Sony knew very well Halo was a threat, especially as the Playstation 3 was originally released at the outrageous price of 700 USD/Euros. Sony paid dearly for their repeated shortsightedness, but the origins of said shortsightedness can be traced in failing to court Guerilla Games to create a game that could rival Halo, not only in terms of immediate returns, but staying power as well. That was the entire point of a "Halo Killer"; not to gain an audience in the short term on an already massively successful system, but to secure an audience in the long term, to the next generation. With Metal Gear Solid 4: Guns of the Patriots not expected to release until 2008 and without any other high-profile exclusives in the line-up, the Playstation 3 couldn't hope to compete with the XBOX 360, which was cheaper, had a better launch line-up and Halo 3 would be released merely a year after the console would hit the market. Killzone did eventually become a celebrated brand for Sony and the Playstation. Killzone 2 released in 2009 and it was critically acclaimed. Arguably that was too little (though maybe not too late), but what stands out to me was how short the original game fell in comparison not only to its direct Bungie competition, but also other titles in the same system. This didn't occur to me, until after I finished Killzone and tried another first-person-shooter called Black. Black was developed by Criterion Games, published by EA and released in 2006 for both the Playstation 2 and the XBOX. Its short campaign (clocking at about 6 hours) and the lack of multiplayer caused a lot of critics to call the game a "tech demo". Even though it sold well-enough, it came out in the twilight of the 6th Generation, with the new generation consoles already in the market and was, as such, overlooked. The first thing I noticed about Black was how expensive it looks, even by modern standards. Killzone's first impressions reek of "backyard home move", whereas Black has the look and feel of the Hollywood Blockbuster. The story is relayed to the player via live-action cutscenes performed by competent actors. The visuals are striking from the beginning; despite the game being a military-shooter taking place in our very mundane world, it offers eye-catching visuals, instead of the muted colors of Killzone. The levels look distinct and they don't suffer from that "isolated island covered by fog" feeling that cripples a lot of Killzone's levels. The game looks bigger than it really is and it runs smoothly despite its large, expansive maps. Killzone's gunplay is one of that game's strongest points, but Black outdoes that as well; all the weapons feel good, distinct, they have weight. There is variety in the arsenal and enough ammo around to not have to stick to the enemy weapons throughout the whole game. 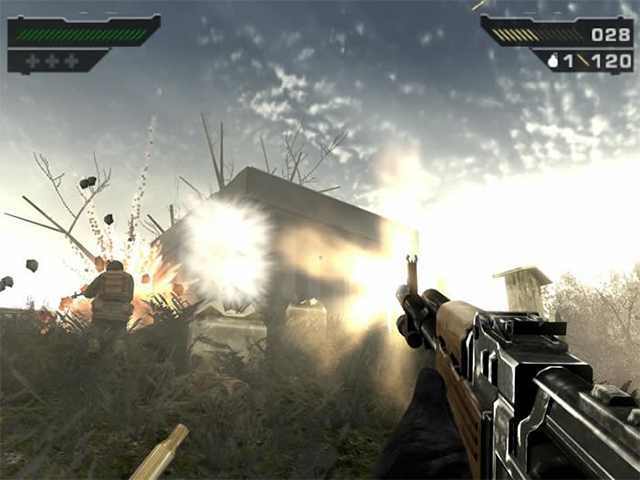 Black's unique feature is its fully destructible environment and that fits in nicely with the non-stop action the title offers as early as the opening mission. The game is somewhat shorter than Killzone, but there is very little downtime and it's not weighed down by that odd quiet that permeates Guerilla Games' title; a quiet very foreign and estranging for a first-person shooter. As I said, when I play PS2 games in this day and age, they're mostly oddities that are usually dated. Black is a cute little title, but it would never survive in the modern market, largely because of its lack of content. But it fits nicely in the age in which it was released, whereas Killzone feels dated in some ways even by 2004 standards. The point of this comparison is to show that Black is the type of shooter Sony should've had made to really hit Bungie and Halo where it hurt. I'm not suggesting they should've snatched Black and Criterion away from EA, of course; that would've been impossible. However, Criterion once mentioned that they made Black to do for first person shooters what Burnout (their flagship series) did for racing games. There was a specific goal, to break away from the norm and create something that would get the audience's attention, to make something unique in the market. This is exactly what Sony should had been looking for. If we take a look at Black, it succeeds in its goal to stand out from the competition. As stated earlier, it's expensive and it looks it; it looks like a game a lot of money went into and that adds to its credibility and status. It has strong gunplay and good level design with some replayability that relies on stealth and extra objectives in the harder difficulty levels. Its story presentation through live-action footage, though far from ideal (that's largely a matter of taste) hit just the right notes at the time that television was full of quality military and spy dramas, like FOX's extremely popular "24". "Cinematic" is a term understandably derided in regards to games in this day and age, but at the time everyone was aiming for that high-production movie feel that appeals easily to the casual market. Unlike Killzone, Black has that feel. The voice acting is loyal to the game's "cinematic" approach with strong performances loyal to the subject matter, while the sound mixing during gameplay is excellent and convinces the player that they're in the middle of a real firefight. The game's setting would be considered overdone by modern standards, but it was unique at the time. Very few military shooters existed and most of them took place in World War II. There were series like Rainbow Six and Delta Force, but those existed primarily on the PC. 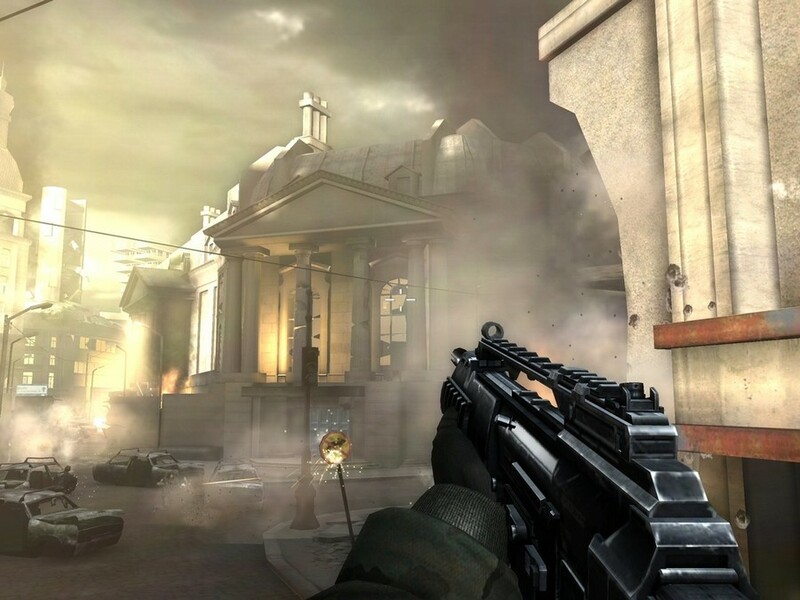 The modern military shooter didn't become popular in the casual console market until Call of Duty 4: Modern Warfare, which released in 2007; a whole year after Black. While Sony was trying to compete with Halo in the space marine and science fiction setting (with Killzone, HAZE and even Resistance), they should've been looking for an entirely different setting that would've attracted a steady and loyal audience. The time was right, after all, following trend shifts in the post-9/11 world and with enough distance from the beginning of the wars in Afghanistan and Iraq to avoid making the experience awkward. The destructible environments are a major draw for Black as well. 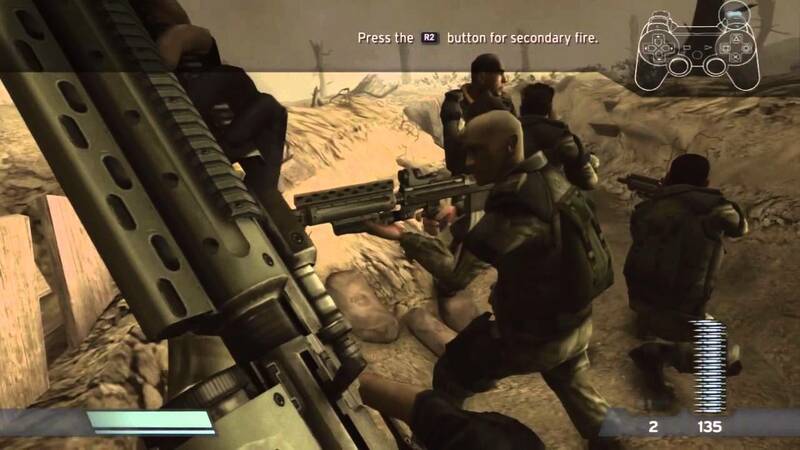 The game rarely uses them in practical ways during gameplay, but they add to the feeling of high-octane action; again, something that Killzone (as well as most first person shooters at the time, even on the PC) lacked dearly. Criterion introduced this feature years before DICE's Frostbite engine made news for providing the same with Battlefield: Bad Company 2 and Battlefield 3. What Black really lacks is a multiplayer mode and, admittedly, that was a big omission at the time, as Halo became popular largely because of its multiplayer. The funny thing is that, when you break it down, Black didn't exactly reinvent the wheel; it still features a lone-wolf protagonist up against bullet-sponge enemies with conventional levels and controls. It did, however, use its budget properly to create something that stood out at the time, without sacrificing any polish. Black looks impressive and plays smoothly, from beginning to end. This is exactly the kind of mindset that Sony needed during Killzone's development; if not for Killzone itself, then for any original shooter intended to lead their brand in the FPS genre. Any game even remotely similar to Black, but investing in some solid multiplayer, would've likely propelled the Playstation's popularity among shooter fans. Though there is no guarantee any game would've been able to dethrone Halo, an established and celebrated shooter by the time Sony got into this race, it would've at least provided incentive for a portion of players to consider saving up for the disastrously expensive Playstation 3. Ultimately, Sony's mistake was to take comfort in the high sales of the original Killzone. They believed they had a heavy-hitter in their hands, when in reality the buzz and the massive player base of the Playstation 2 contributed greatly to the game's success. They neglected to face the underlying issues head on and when the PS3 failed to impress during the first half of its life, they found themselves trying to play catch-up to Microsoft. The last third of the PS3's life saw some true diamonds in the system's library and the brand's reputation recovered over time (Microsoft's later screw ups certainly helped); but from where I'm standing, Guerilla Games needs to thank their lucky stars Sony didn't hurry them to release Killzone 2 earlier in the PS3's life.